Be warned that latter part of the book review video below contains spoilers and I will not be held accountable for your failure to stop watching the video before reading the book. Though if you have not read any of the other books in the series, the spoilers would sound like gibberish to you and will not matter much when you finally read the book. City of Fallen Angels is the 4th book of Mortal Instruments. The book starts off of course, where the last one left off after the Mortal War had concluded and everything seems to be going as planned. 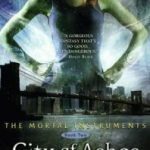 Clary is practicing to use her new unique power. Mom is prepping for a marriage to the love of her life, and everyone is at peace including Shadowhunters and Downworlders. 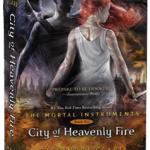 But mostly because Clary can see her boyfriend Jace again. These proceeding only last for a time since rumors are being spread about the Shadowhunters to provoke animosity against them. Her best friend Simon is homeless since his mother discovered what he was. No matter what he tries to do he ends up having to pick sides, he is even dating two hot girls and keeping them segregated from each other. 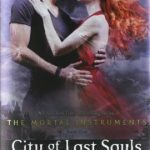 Jace starts to pull away from Clary, and she begins to investigate as to why. 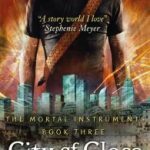 Revenge, Betrayal, Love, and Hate are all relevant facts in this book and if you haven’t read the previous book City of Glass mortal instruments, I suggest you do so. 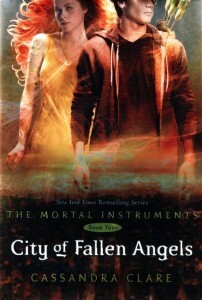 Download City Of Fallen Angels [PDF] [ePub] or you can purchase the book from Amazon. 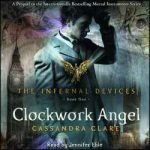 All soft copy books of City Of Fallen Angels acquired through Reading Sanctuary require you to leave a review on the book’s Amazon page to help authors. Thank you!